How to Display Long Tasks in Full Length over Multiple Lines? I understand that this gives most people a better, more condensed overview of their tasks. But I would like to change the viewing preference back to how it was before. Is there a setting for this somewhere in the preferences that I overlooked? 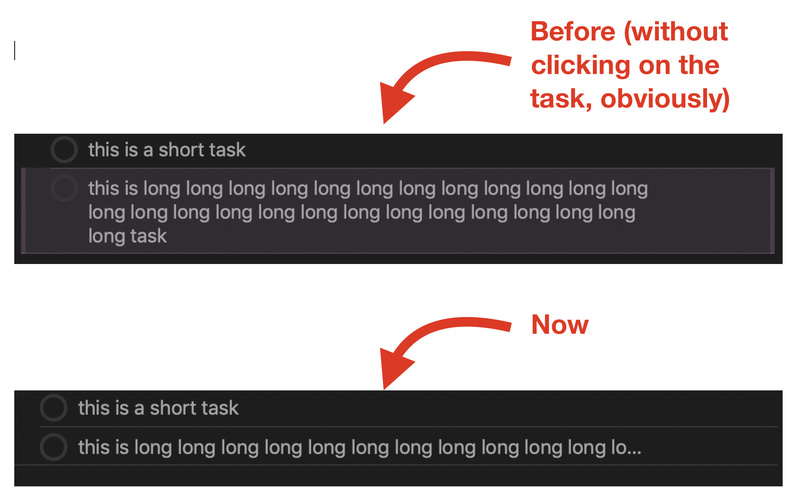 Should tasks have long titles? Or should much of that be in a note? Well, the beauty of Omnifocus is that you don’t have to choose. For a better overview I prefer to keep the titles short and most of the information hidden in the notes, which often become extremely long. But when I occasionally like to be more informative in the titles, I could. On the Mac version of Omnifocus, I could even keep the notes constantly shown for tasks I often need to edit.